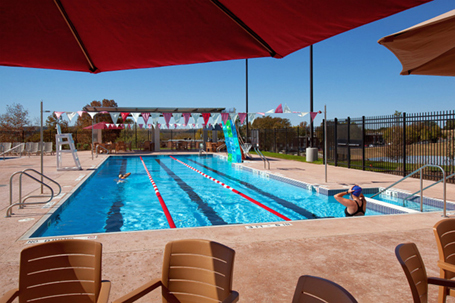 The Kroc Center, located in Kerrville, Texas, which opened in the summer of 2010, covers approximately 47,000 sq. ft. of indoor space. The center features an outdoor family leisure pool with waterslides, a heated lap pool, and a four-field baseball and softball complex. Also included in the center is a multi-purpose chapel, full-sized gymnasium, weight and exercise rooms, dance and aerobic studio, coffee bar, a teen lounge, dining hall, classrooms, arts and crafts classroom, meeting rooms, and administrative offices. The Kroc Center achieved the U.S. Green Building Council’s Leadership in Energy and Environmental Design (LEED) Silver certification for energy efficient design.